Move faster and jump higher with the neoprene Action Flex Sole designed for beach volleyball, sand soccer, and other beach sports. Protect your feet from hot, cold, or rocky sand. Neoprene heel and toe protects your feet from blisters and chafing. Breathable spandex uppers complete the barefoot feel. 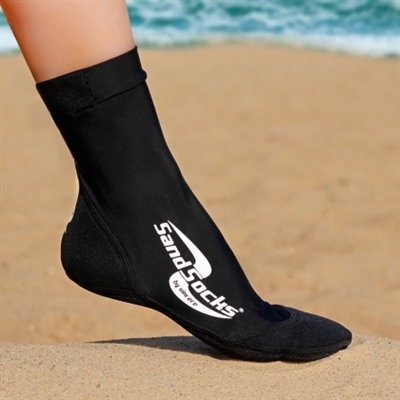 Sand Socks are lightweight and dry quickly.